Cookie Monster in a Pac man version. Avoid the ghosts and eat all the pink dots and get extra bonus points by eating the fruits on the game board. 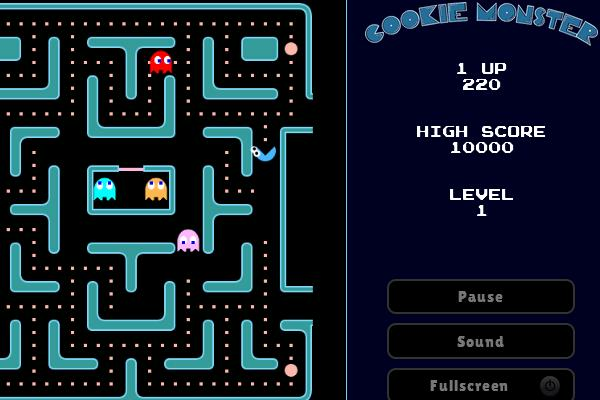 Go Play Cookie Monster Game in a html5 version.